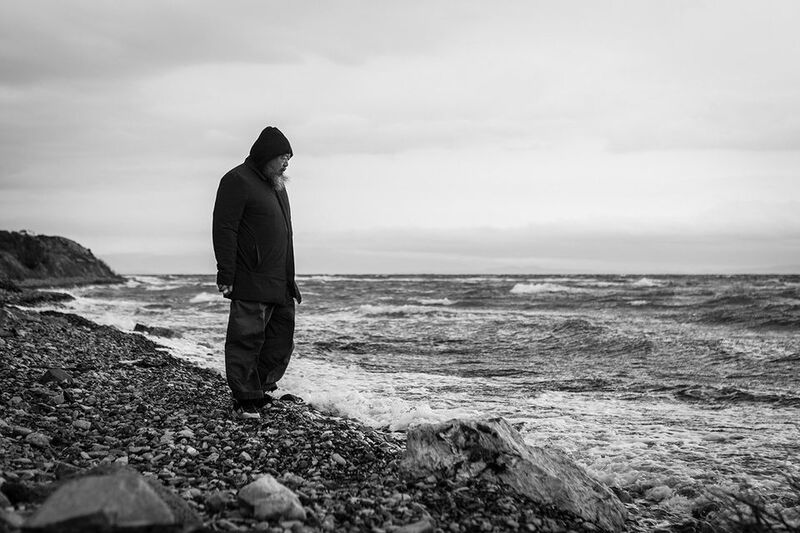 The exiled dissident Chinese artist Ai Weiwei will bring an exhibition of works about the refugee crisis to Qatar this month, for his first show in the Gulf region. Ai had his first experience of the plight facing refugees while on the Greek island of Lesbos in 2015 and has since focussed his work on the scale of the global crisis. He and his studio team have travelled to 40 refugee camps in 23 countries, producing works and actions responding to the crisis as well as the film Human Flow (2017). 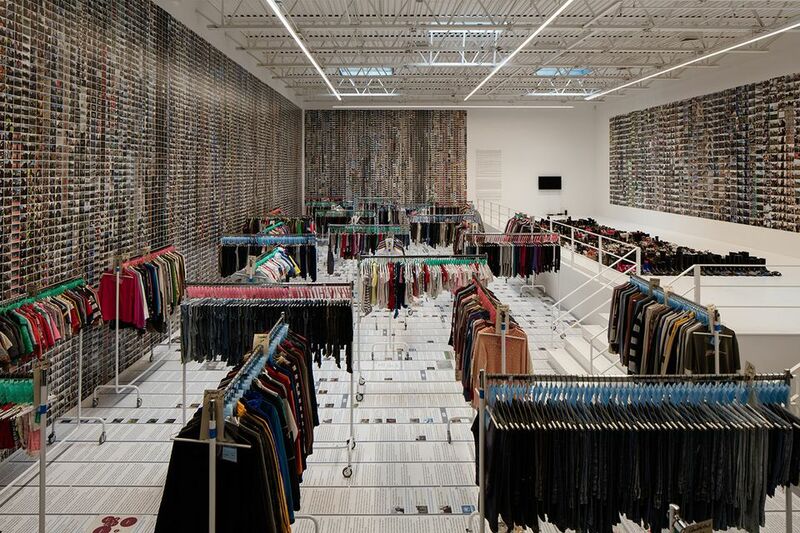 For his exhibition at Doha’s Fire Station art space (15 March-1 June), Ai will show the large-scale installation, Laundromat (2016), which is made from thousands of articles of clothing that were left behind after a refugee camp in Idomeni, a small village in northern Greece, was shut down in 2016. Laundromat also includes the film Idomeni (2016), which shows the everyday conditions of the refugees up to the moment when the camp was evacuated, and a work made from wallpaper of images that Ai took on his iPhone during the filming of Human Flow. The Art Newspaper visited Ai at his studio in Berlin to talk about his experience of being in exile, and what it means to put on a show about refugees in the Gulf. The Art Newspaper: How did this show in Qatar come about? Ai Weiwei: I have been to the Gulf on several occasions but never to Qatar. Then Sheikha Al Mayassa bint Hamad bin Khalifa Al Thani [the chairwoman of Qatar Museums] invited me a year ago. I visited the Fire Station, which is a very progressive facility for contemporary art. They had a show of Picasso and Giacometti [at the time]. But what gave me a stronger impression is their art programme where artists have studios in the Fire Station. I visited all of them and talked with the artists about what they’ve been doing. I got the impression that they were very open, very liberal and, in many senses, close to what has been practiced in other parts of the world. It’s not exactly like other places in the Gulf. Sheikha Al Mayassa saw my show in Jeffrey Dietch’s [Wooster Street space] in Soho in 2016 and she had a strong impression and asked me if the show could be moved to Doha. I said it was possible and they followed up to ask to have the show. Will you be going to Doha for the opening? I’d love to but I can’t. I have many engagements and my schedule doesn’t allow it. All the works you are showing relate to refugees. Qatar—and the Gulf region in general—has been criticised for not taking in more. How do you think a show on refugees will be received there? I am very impressed that [Qatar] wants to have a show like this. Sheikha Al Mayassa showed a strong understanding and had a clear impression about the issue. I think they are, in a way, quite supportive of the idea of human rights and the human conditions. They have tried to generate a social conscious about human condition globally, but especially in the Gulf states. We all know that the Gulf states don’t bear enough responsibility for this global crisis and, because of that, are showing a very closed world view about their own position. Of course, it’s not only them. In Europe, there are also states that haven’t accepted any refugees. Do you think that a show like this will have a positive effect on public and state conscience about the issue? I can’t imagine that an art show would affect a state’s conscience or a mass concept about something political. But I am one individual and it deeply affects me and it makes me want to try and make this effort. I am just part of society and there must be many people just like me who want to be involved or want to have this kind of act. But how those can be turned into public policy or political progress is hard to say. You’ve recently had shows in Israel, Turkey and, now, Qatar, which are all countries that have been criticised for their crackdowns on human rights and freedom of speech. As an artist who has spent his life campaigning against a country that denies people human rights, how do you feel about exhibiting in such countries? We have two kinds of societies: one society has human rights and freedom of speech but where an individual’s voices is not taken seriously, such as in Europe and the US. They still have strong human rights and freedom of speech problems, just at different levels. Then you have states where these rights cannot be protected, like in Turkey or Israel or some Gulf states. But still, I think human rights is one quality—it belongs to everyone and everywhere, so to defend human rights anywhere is to defend them everywhere. We have to separate the idea of state and territory and just talk about the issues: about the human condition and freedom of speech. Art can avoid this cold war thinking of these original ideologies and talk about common values and humanity in a much broader sense. You’re currently a refugee of sorts, living in Berlin because it’s unsafe for you and your son in China. Will you stay in Germany? I have a language and so many reasons to go back but I can’t. That is not important to the world at large but still, once you think you cannot go back, you don’t really know where you belong and you have no idea where you will go next. It is very hard to think conceptually, “I am settled here”, because everything is so uncertain. Uncertainty gave me a clear understanding about the refugee condition. You cannot tell your children “you belong to here” and you cannot show them anything you are familiar with or you are really emotionally attached to—everything is just passing by. It’s a new condition. For me, it is not so new. When I was born my father was exiled. So, I accepted the situation. My son accepts it because he doesn’t know otherwise. If it I tell him tomorrow we have to go then he would go and I think he is subconsciously prepared. We can always travel.